Tara received her Honours Bachelor of Science degree in Kinesiology in 1995 from the University of Waterloo after completing five years of focused studies, including two years (3800 hours) of clinical practice. She is a Practicing Member under the British Columbia Association of Kinesiologists (BCAK) and Canadian Kinesiology Alliance (CKA). Tara became certified as a Medical Exercise Specialist in 1997 and voluntarily elected to recertify under clinical examination by a Registered Physiotherapist in 2006. She has upheld continuing education in her self-development as a practitioner and has culminated her experiences in working with world-class leaders in healthcare to develop her accredited Movement Assessment & Corrective Training Certification program. Clare obtained her Bachelors of Human Kinetics degree from the University of British Columbia. She is a Practicing Member under the British Columbia Association of Kinesiologists (BCAK) and Canadian Kinesiology Alliance (CKA). She is also a Certified Exercise Physiologist through the Canadian Society for Exercise Physiology (CSEP) and a Certified Yoga Instructor. Clare has over 10 years experience working with both neurological & orthopaedic populations in private practice clinics in the Lower Mainland. Clare's passion is rehabilitation and she brings a functional approach to exercise prescription. She creates safe and effective programs, helping her clients with pain management, motor pattern retraining and overall strengthening. In her spare time, Clare loves to be active and spend time outside. Some of her favourite activities are skiing, hiking, running, climbing, playing ultimate Frisbee and doing yoga. 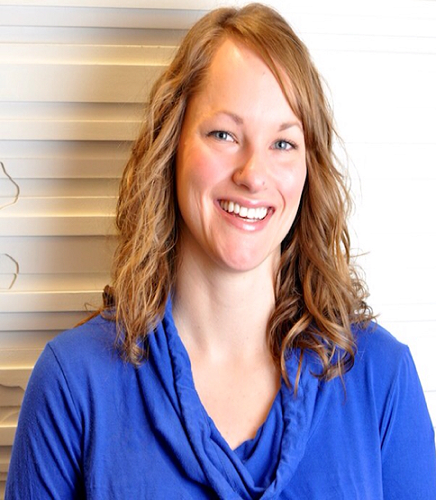 Michelle completed her bachelors degree in Physical Education and Coaching from Douglas College in 2009. She is a Practicing Member under the British Columbia Association of Kinesiologists (BCAK) and a Certified Strength & Conditioning Specialist through the National Strength and Conditioning Association (NSCA). She has a passion for working with the individual seeking rehabilitation and corrective exercise prescription to manage pain and recover from injury. Michelle believes working with a multi disiplinary team to allow for her clients to achieve best results. Michelle brings a unique balance of compassion, confidence and skill. She focuses on developing safe, effective and functional exercise programs so that individuals can return to their preferred activities. Michelle trained and competed in the sport of figure skating and has been training figure skating athletes on and off the ice since 2000. Her passion for health & wellness is also carried into her current personal pursuits that include tennis, volleyball, downhill and cross country skiing, running, cycling, hiking, and yoga. Essential Kinetics has been supporting clients rehab & training initiatives for 15 years! The team at Essential Kinetics is commited to bringing the best of service & continuing their own education with world-renowned clinicians. All MVA clients covered under ICBC are approved for Kinesiology support within the first 12 weeks following their accident.